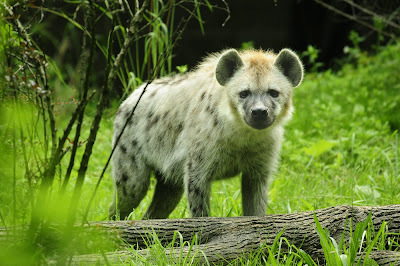 After a 30-year absence, hyenas are again living at the Bronx Zoo. The brother-sister pairing - Kidogo and Kubwa - came from Denver Zoo, where they were born in March 2008. According to a press release, the new arrivals have made the zoo's resident gazelles a little "nervous." Presumably, though, they're being kept in different enclosures, or there'd be some pretty traumatized children out there. The Bronx Zoo is also the proud new owner of five baby lemurs and an okapi calf.